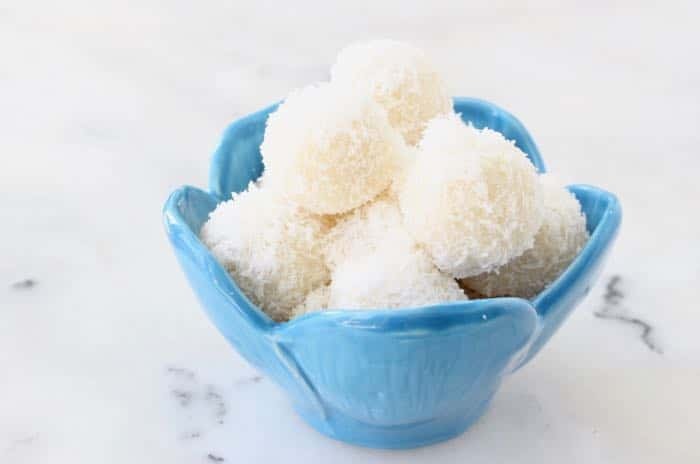 Easy, no bake coconut snowballs recipe made with only 3 ingredients: raw coconut, coconut cream and nectar (the nuts are optional). 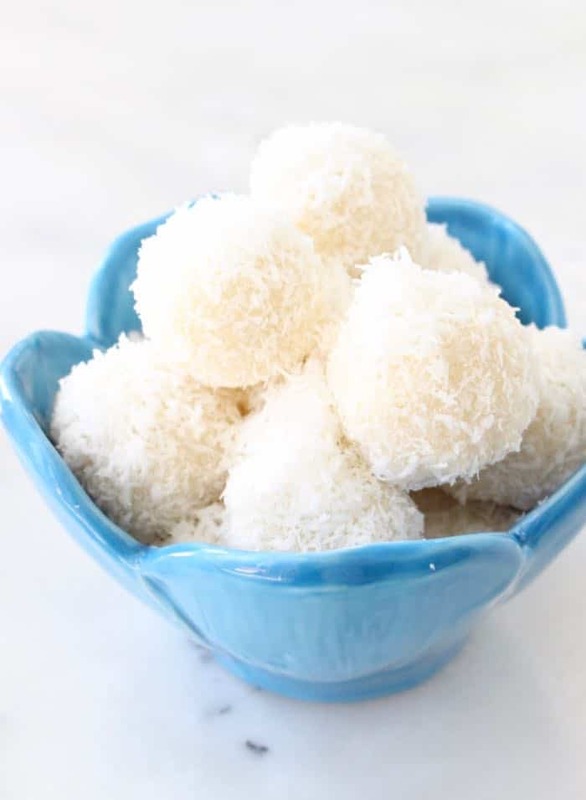 How About Some Homemade Raffaello Coconut Snowballs ? 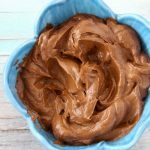 For all those last minute candy cravings and all the coconut lovers out there, these quick simple treats really hit the spot. Festive enough for the holiday table and to give away as gifts, but also casual enough as hot summer day treats at your next garden party. Easy enough to make with the kids, since there’s no baking involved just let them roll up their sleeves and get their little hands dirty making their very own candy balls. 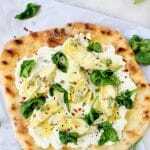 You could also choose to use toasted coconut in this recipe, just know they will be more golden in color and you might need a little extra cream for the dough to come together well. 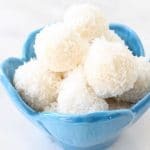 These are the best coconut snowballs ever! 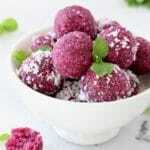 Push an almond or hazelnut into the center of each coconut ball and shape it back into a round sphere. 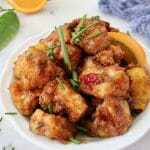 Toss into the remaining coconut until coated all over. 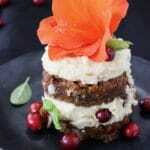 Set on a plate and refrigerate for a couple of hours before serving. These little cookies were amazing, love how easy they are to throw together and a perfect treat for kids. Will be making these all the time. 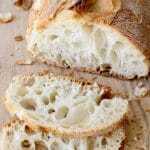 Thank you for the best recipes, love this blog!